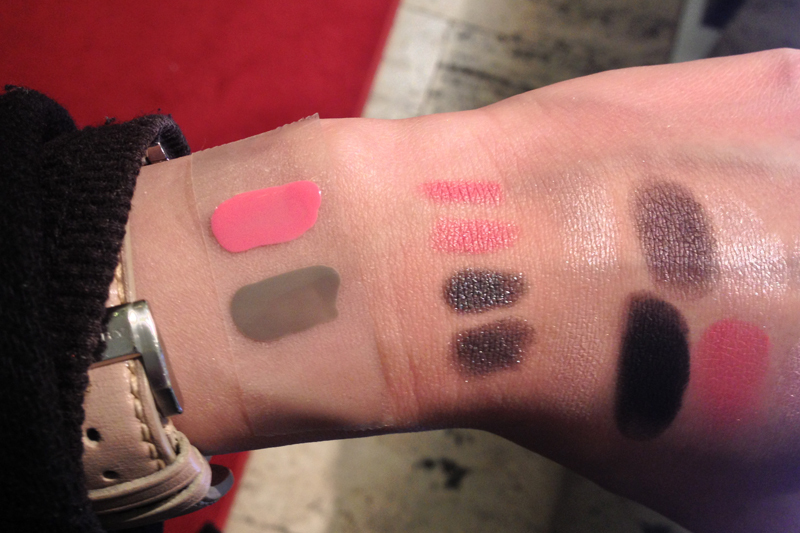 My guerilla swatches hopefully require no more introduction. The only thing I sprang for was the Ecrin 4 Couleurs Coup de Foudre because look at that coral! And the nuances on those greens! I tried it on at the counter and was surprised to find that it looked beautiful on my skin tone, so into the shopping bag it went. 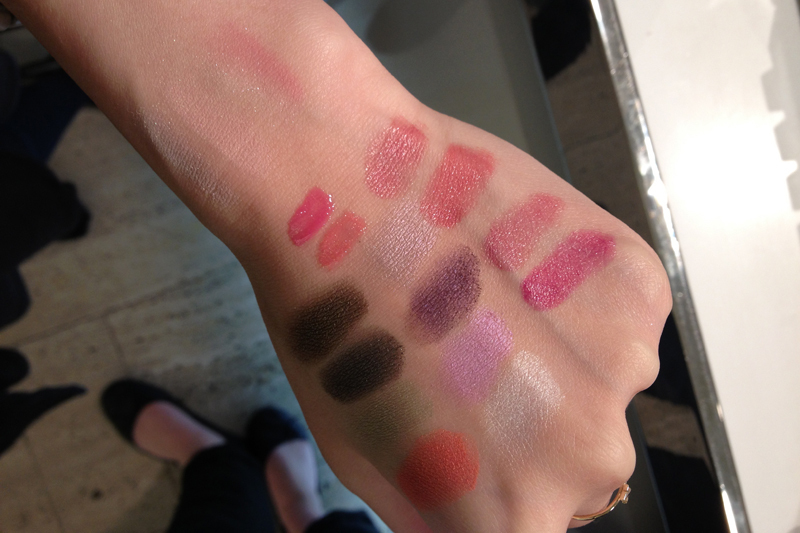 What caught my eye about Rose Charmeuse was the really dark black, which reminded me of LMdB Nouvelle Vague (swatches here, look here). I can't be certain, but I believe it is as pigmented. Dior released a couple of duo cream/powder shadow sticks for spring as well, which I swatched above - cream on top, shadow on the bottom. It's... better than what I expected from shadow sticks, but the product itself doesn't appeal to me personally. 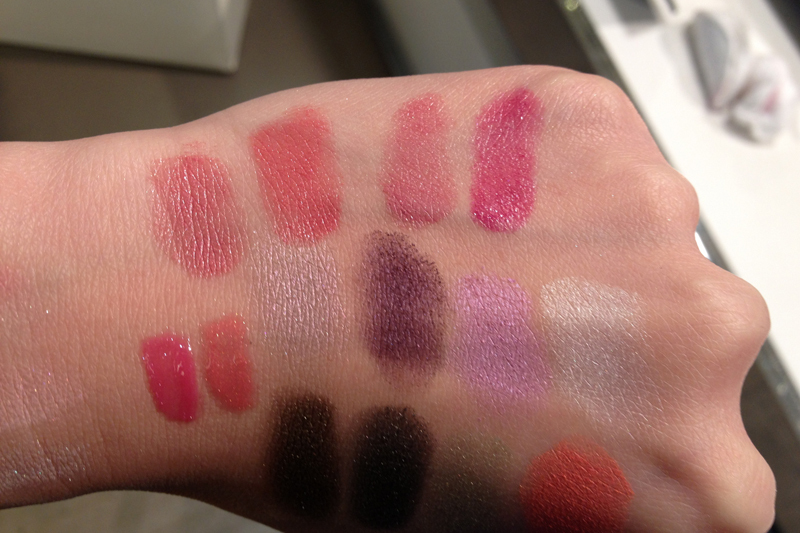 I think Dior released some beautiful pinks, but pinks are not my strong suit and not something I would wear much, so I didn't pick anything up from Dior. I am quite tempted by the two nail lacquers, but decided to mull over them for a couple of weeks before purchasing. 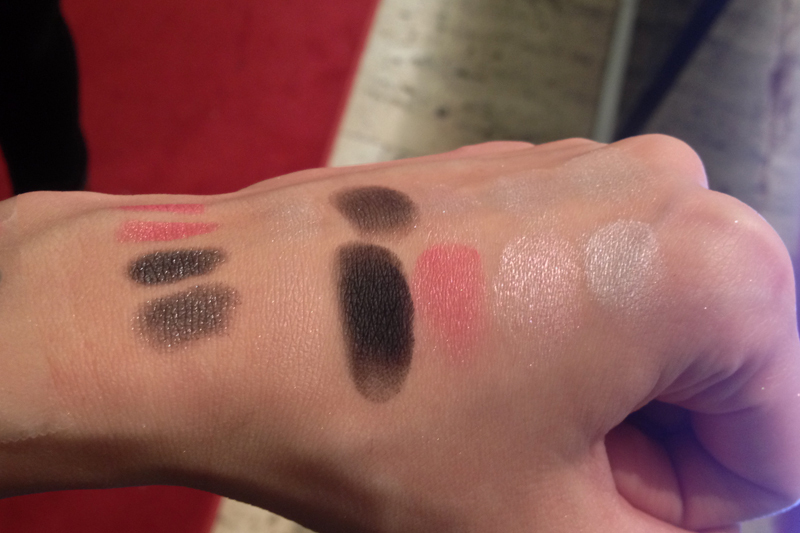 I swatched these in Saks Fifth Avenue New York, but both collections are already up online at Nordstrom! WHOA, Coup de Foudre is wild! 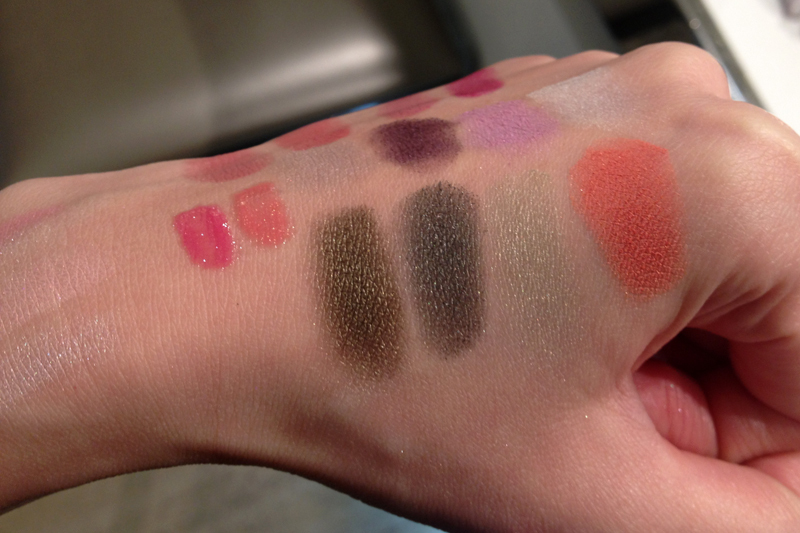 I can't wait to see how it looks worn :) Thanks for the swatches, Xiao! I can't wait to see the look you do for Coup de Foudre. I love those greens! I wonder if the coral can be doubled as a blush. 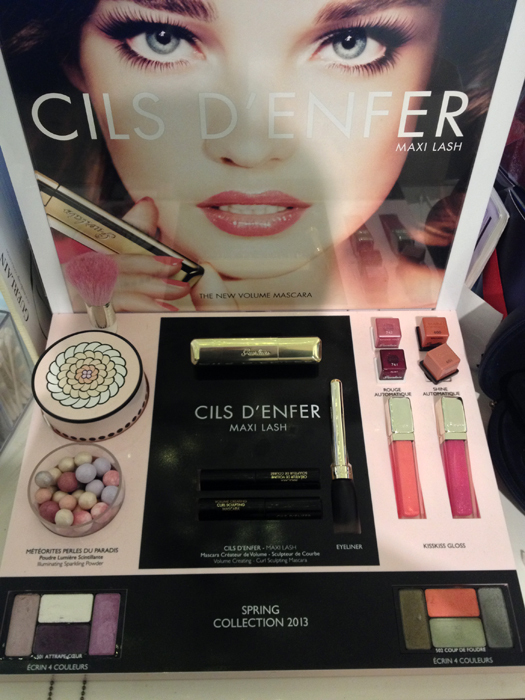 I'm definitely going to get this... release only in February here :-( I have Dior Rose Charmeuse. Surprisingly wearable! Both of those Guerlain quads are amazing! Ahhhh I want Coup de Foudre and Perles du Paradis! SO MUCH. 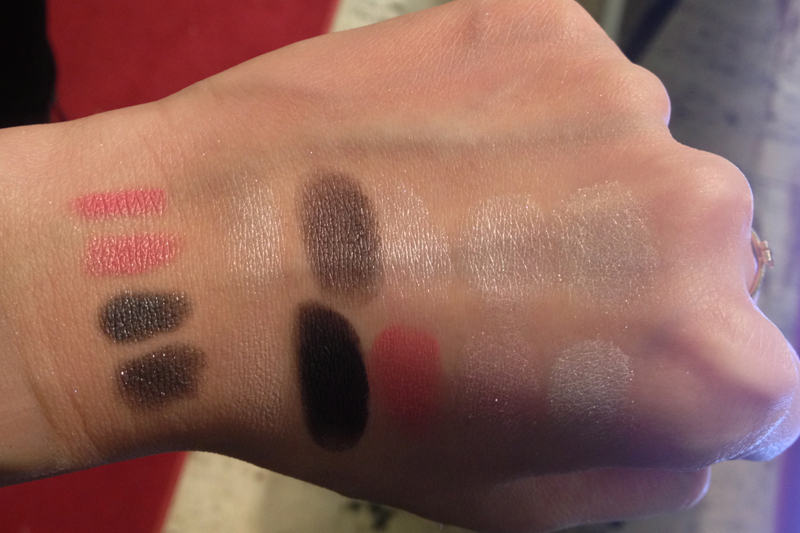 Thank you for the swatches!